God calls some Christians to travel across the globe to be His hands and feet to the people living in far-off lands. But He calls all Christians to love those in our “Jerusalem” (Acts 1:8). Those people who live down the hall, down the block, and around the corner. We are all called to be salt and light to our families, friends, neighbours, co-workers, and to everyone else He puts in our paths. Our FALL SERMON & CARE GROUP SERIES is called “Life on Mission.” This is a six-week series, with Care Groups using a DVD-based video study from Tim Harlow (similar style to Rick Warren). Study Guides available to pick up at the church. They include places to take notes, do further study, and daily devotionals. Life on Mission is going to teach you some helpful strategies to live out your faith in your every day life and be an effective witness for Jesus. Imagine what our communities would be like, and how many of God’s prodigals and lost sheep would come home, if we all committed to living this way! 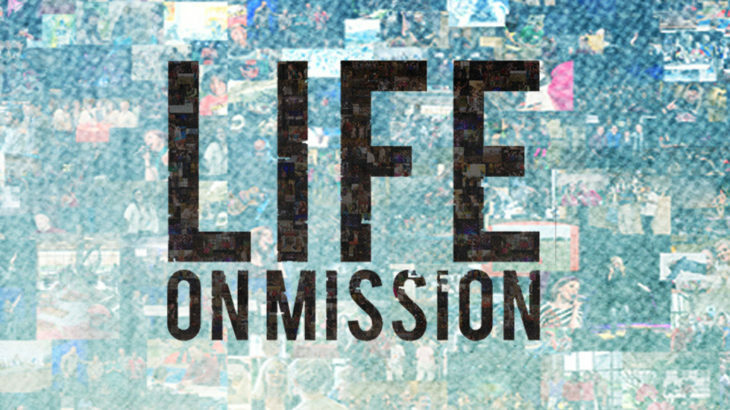 LIFE ON MISSION BEGINS SUNDAY SEPT 30th (Fall Kick Off Sunday) & all groups will start that week (first week of October). Care Groups provide a small, confidential setting for prayer, fellowship, and Bible Study and are vital to the mission and model of our church. It’s hope that everyone who attends our church will be part of a Care Group.